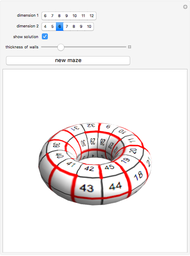 This Demonstration generates mazes on a torus. The black and gray dots mark the beginning and end of the maze. Izidor Hafner "Mazes on a Torus"